What you can you see on the farm today? 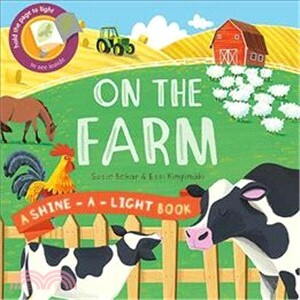 Children will find out in this beautifully illustrated Shine-a-Light title, which looks at farming through the seasons. Full-colour artwork gives an insight into winter, spring, summer, and autumn on the farm, including how baby animals are cared for and how crops are grown and harvested. In addition, the unique design of the book allows children to discover a “hidden” image by holding the page up to a bright light, much like a lift-the-flap mechanism. For children aged 3 and up, this is a wonderful introduction to life on a farm.